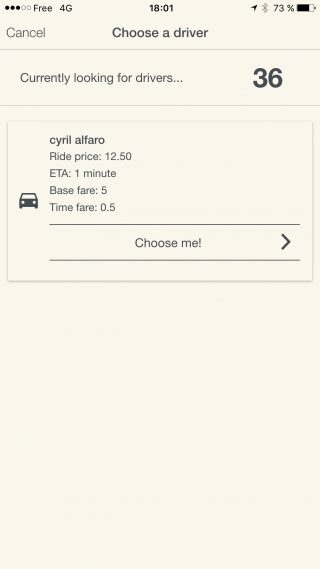 With this feature you will be able to launch a “Uber-like service” with your app. the distance unit between kilometers and miles. the Payment method: Credit card, cash, or both. Don’t forget to save when you have set up your settings. How does it work in the application? 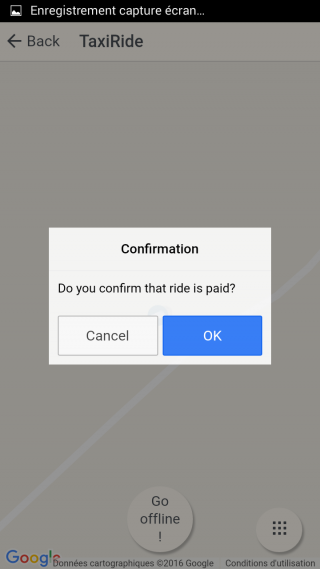 First, you have to create an account, whether you are a passenger or a driver. When you create the account, you have to choose between Passenger and Driver. Be careful, once you have created this account, you can not change your status. 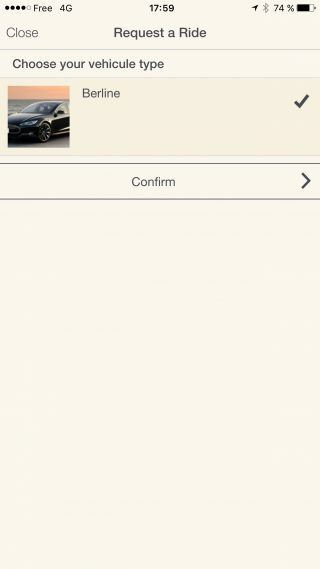 Passengers are automatically validated, whereas Drivers have to be validated by the admin in the Editor. First, enter your pick up address and your drop off address. 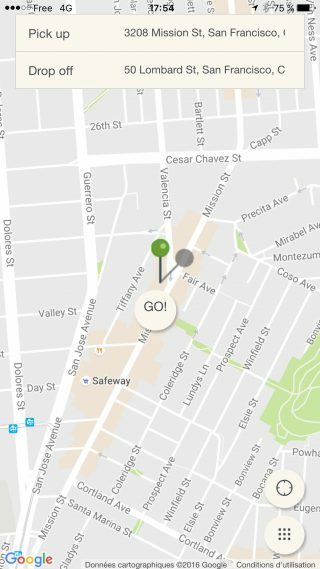 A “Go!” button appears. Click “Go!” to start the search process. First you will have to choose the type of vehicle you want. In this example there is only one type of vehicle, but you can create as many types as you want. Then choose the payment method (here, only the payment by card is available). Select the payment method and click on “Let’s go”. 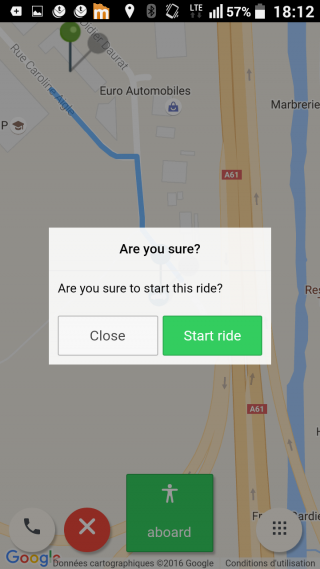 Then the app will start searching for drivers around you. 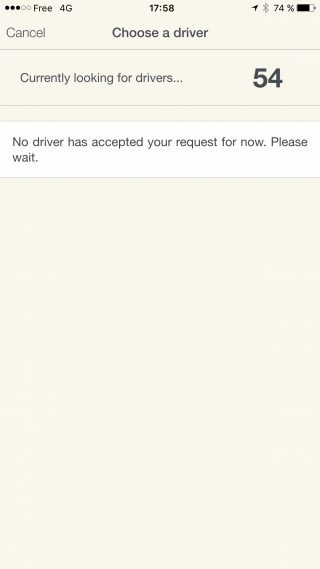 Once a (or several) driver has accepted your request, he will be displayed and you will be able to select him. Choose your driver and he will come pick you up. 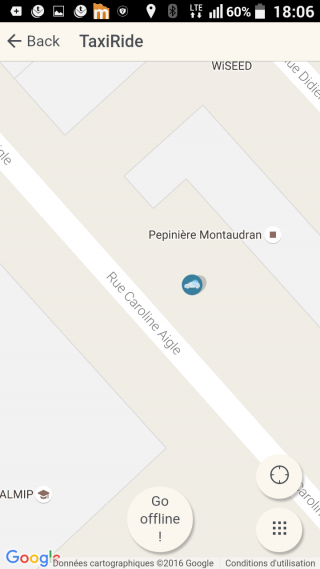 Once you’re the car, you will be able to see the map and the live journey. Once you have arrived at your destination. The following message will appear. You can pay directly by card through the app. 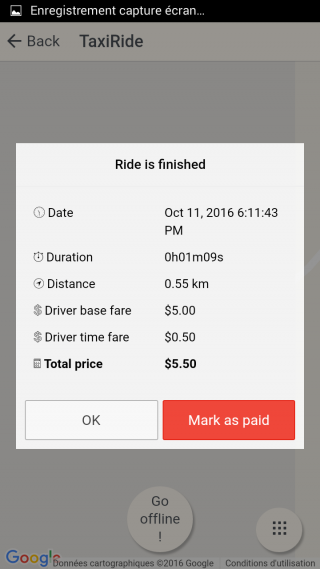 The driver can set the price for each kilometer/mile when he creates his driver account in the application. 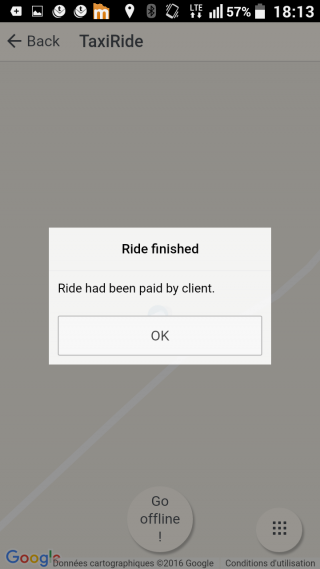 This is the screen of the driver when he has no ongoing ride. When the passenger chooses him, the driver goes pick him up. 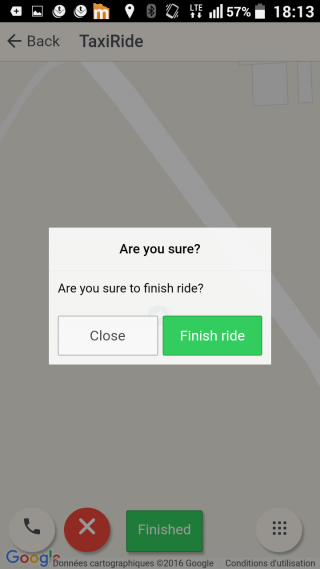 Once the passenger is in the car, the driver has to click on “Aboard” to start the ride. 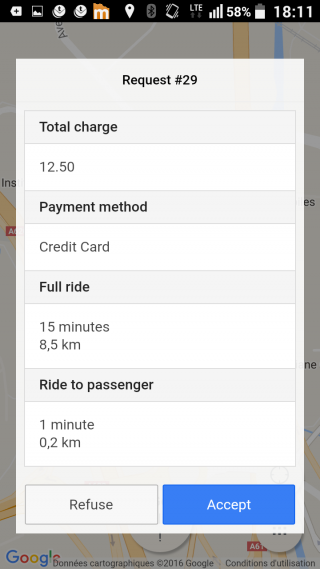 The passenger will also receive an email with all payment details at the end of the journey. 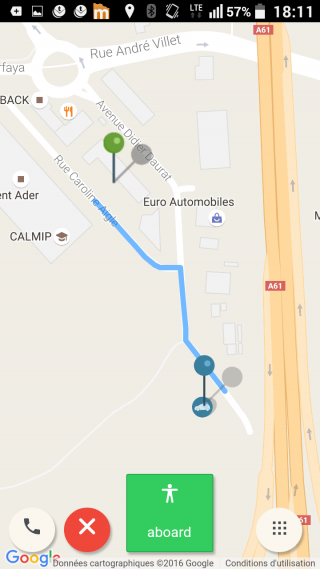 Is the route of the trip changed on the map if the driver takes another route? No the route is not changed. 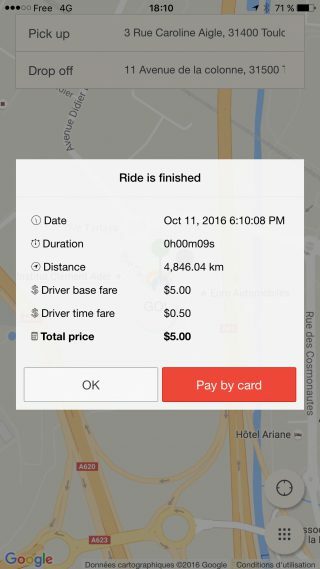 However, the total amount of the course is based on the route that the driver has taken, and thus the total amount is always well calculated. Is it possible to choose the currency for the payment at the end of a trip? 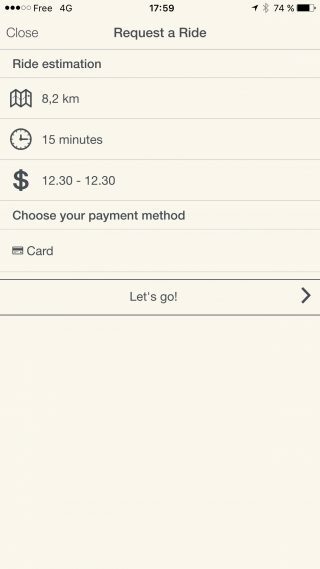 If you allow to pay by credit card in the app, and if the user pays by credit card, the currency will be the one that has been set in the application (in the Design section in the editor). 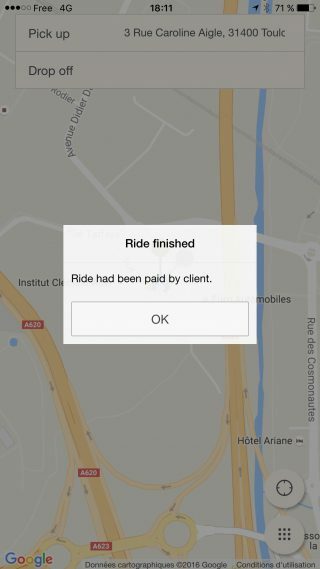 How many drivers, customers can the app handle? There is no limit number of driver/customer, it depends on performance of the servers and on performance of the device(Telephones/tablets). How will the user write his current position? 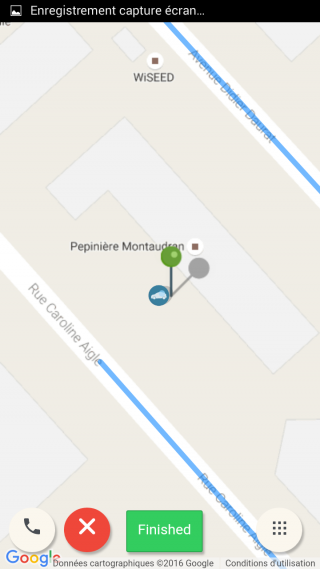 Does the addresses are stored if the app crashes during the trip? 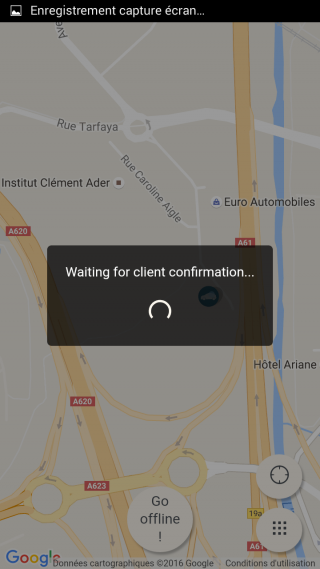 In all cases when the user accepts the driver, the address is displayed in the application for the driver, and even if the app crashes, collapses or looses the connection, the app will reopen with the current trip and the right addresses. 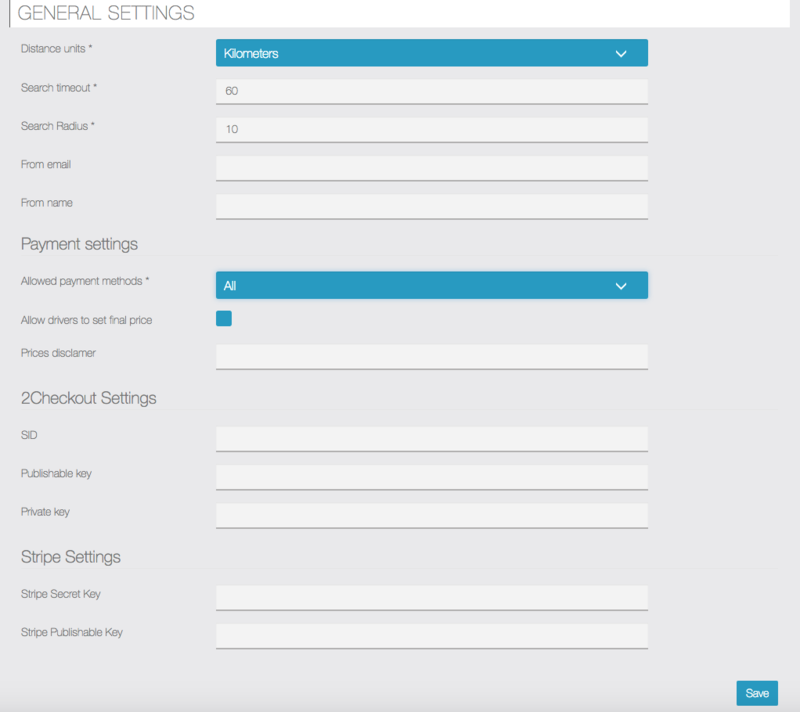 How to setup credit card payment via 2checkout ? Then, in your 2checkout account, go in API > Settings and click on generate. – Your 2checkout account number, in the field SID. – The Publishable and Private key you just generated in the 2checkout website.